On 28th July 1540 Thomas Cromwell made his way towards Tower Hill where he was face the fate that had been passed down to him by King Henry VIII. Cromwell had been arrested on 10th June 1540 at a Council meeting accused of treason after his failure to achieve a divorce for Henry VIII and his fourth wife Anne of Cleves. His failure allowed Cromwell to fall from the King’s grace and his enemies led by the Duke of Norfolk were able to rise up against him. 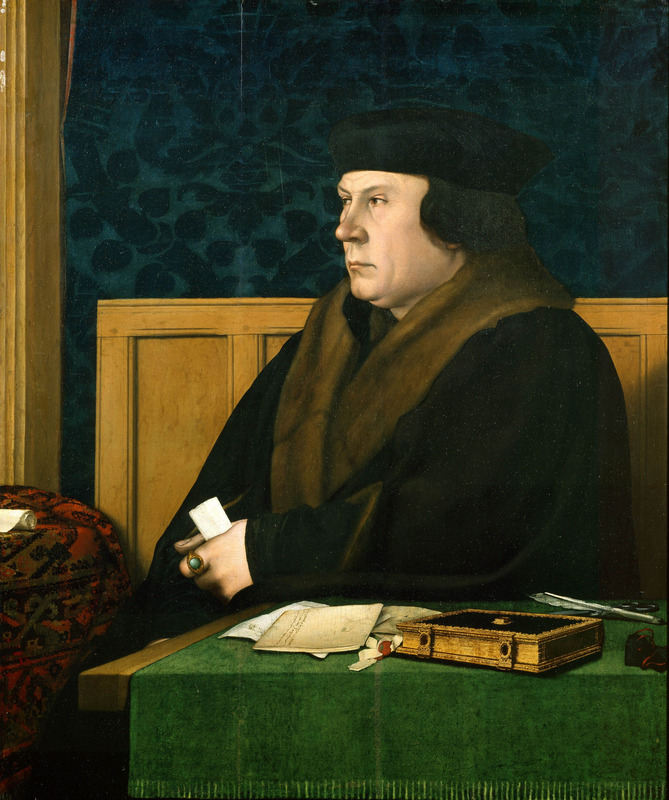 An Act of Attainder was passed against Thomas Cromwell and he was sentenced to death without a trial, however, he was kept alive long enough for the King to obtain his longed for divorce from Anne of Cleves. With the divorce achieved Cromwell met his fate and was executed on Tower Hill. “I am come hether to dye, and not to purge my self, as maie happen, some thynke that I will, for if I should do so, I wer a very wretche and miser: I am by the Lawe comdempned to die, and thanke my lorde God that hath appoynted me this deathe, for myne offence: For sithence the tyme that I have had yeres of discrecion, I have lived a synner, and offended my Lorde God, for the whiche I aske hym hartely forgevenes. And it is not unknowne to many of you, that I have been a great traveler in this worlde, and beyng but of a base degree, was called to high estate, and sithes the tyme I came thereunto, I have offended my prince, for the whiche I aske hym hartely forgevenes, and beseche you all to praie to God with me, that he will forgeve me. O father forgeve me. O sonne forgeve me, O holy Ghost forgeve me: O thre persons in one God forgeve me. And now I praie you that be here, to beare me record, I die in the Catholicke faithe, not doubtyng in any article of my faith, no nor doubtyng in any Sacrament of the Churche. * Many hath sclaundered me, and reported that I have been a bearer, of suche as hath mainteigned evill opinions, whiche is untrue, but I confesse that like as God by his holy spirite, doth instruct us in the truthe, so the devill is redy to seduce us, and I have been seduced: but beare me witnes that I dye in the Catholicke faithe of the holy Churche. And I hartely desire you to praie for the Kynges grace, that he maie long live with you, maie long reigne over you. And once again I desire you to pray for me, that so long as life remaigneth in this fleshe, I waver nothyng in my faithe. As Thomas Cromwell was being executed Henry VIII was marrying his fifth wife Catherine Parr. Henry is recorded to have regretted ordering Cromwell’s execution and called him his most faithful servant and later accused his council of engineering Cromwell’s downfall.